The newest Mac operating system, macOS 10.13 Sierra, goes live later today. The big question is, does Lightroom work? The good news is Lightroom CC 2015.12 and Lightroom 6.12 and later do work on High Sierra. Older Lightroom versions are not supported, and will not be updated. 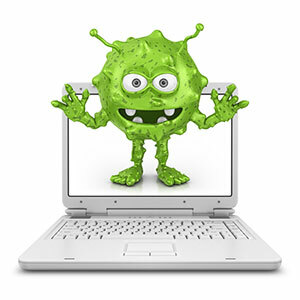 They haven’t been extensively tested on the new High Sierra operating system, but many people report that they don’t open, or crash regularly. If you’re currently using Lightroom 5 or earlier, and you don’t want to sign up for a subscription but want to upgrade to Lightroom 6 to run High Sierra, there are purchase instructions on my How to Buy Lightroom page. Note that Lightroom 6 is no longer being updated, so a macOS update could kill it at any time, so I’d recommend the Photography Plan subscription instead. Hi Victoria, thanks a lot for this. Just one more information, I think is worth to share. Since many people may use a Wacom tablet (as I do), please note that the tablet driver is not High Sierra compliant. Wacom suggest not to update to High Sierra till the new driver release, due latest by the end of October. Keep on going on with your precious work! Thank you very much for sharing that tip Guido! Unfortunately I am experiencing various issues with LR CC on High Sierra. Presets are not in alphabetical order, revert back after they were renamed or disappear automagically. Not to mention that new catalogs I’ve created crashed 3 times today with the known “error changing modules” message. Hope Adobe will sort that out soon. Thanks for sharing Daniel. Are you updated to 2015.12 / 6.12? Make sure you report the problems at https://www.lightroomqueen.com/send-bug-report-feature-request-adobe/ if you haven’t already. Thanks, Victoria. Yes, of course all my software is up to date. I am using LR since 2007 and have never seen it crash actually. Deleting the preferences is always worth a try. I’ve already sent my bug report to the Lightroom team directly. I can confirm the random sorting of LR presets. I use many presets for importing, renaming, filtering etc. and they are all messed up. Presets will fix temporarily if you rename them or save a new preset, but are messed up again after the next restart of LR. Resetting the LR preferences seems to have fixed the “error changing modules” issue though. Thanks Daniel, the team have confirmed they’re working on the presets issue too. I’m having trouble with the adjustment sliders in Lr 6. Any adjustments are taking a few seconds to take effect – this is terribly annoying. Has anyone else experienced this since upgrading to High Sierra? I haven’t spotted any other reports – certainly not a widespread outbreak. Report it at the Official Feature Request/Bug Report Forum at https://feedback.photoshop.com/photoshop_family/topics/new/add_details?topic%5B just in case anyone else is seeing it. I can’t send photos from Lightroom six after I updated to High Sierra, anyone else having this problem and is there a fix.? Send photos where or how? I recently updated to High Sierra and I run LR 5.7. I have a problem in the Develop Module. In the HSL panel after saturating my colours then clicking on Luminance, lightroom crashes. I send a report to adobe every time then reboot lightroom and everything appears to work. Many reports have been sent to Adobe. Has this problem been reported before and are there any fixes available? Hi Stephen. LR5 isn’t supported on High Sierra, so Adobe won’t fix it. I haven’t come across any other reports of this issue, so I haven’t seen any workarounds on it either, sorry! Just a heads-up: LR5.7 crashes with High Sierra just as reported by Stephen. It also crashes when hitting “I” key (for EXIF info overlay) and a few other sliders. Anybody NOT wanting to upgrade to LR6 should not install High Sierra without a proper backup. I would then recommend a thorough test of all LR functions that are vital to your workflow before committing to the OS upgrade. I personally will get an LR6 license as long as it’s available. Thanks for the info Fabian! Hi, I updated to macOS High Sierra. I am unable to open up my library panel and add pictures to my catolog. I have Lightroom 4. The message I get is “error occurred when attempting r to change modules”. Victoria, I have your book. I can follow step by step instructions but the idea of updating seems daunting. I am not technically savvy. The possibility that I can’t use my Lightroom or maybe lose all the information (I know my pictures are on my hardrive) freaks me out. I was planning a big organization first of the year. I have a puppy and grandchildren. I need my Lightroom! And I need technical help. Lightroom 4 is likely to have a few more issues, so you might want to think about upgrading to a more recent version (it’s easy, honest!) but at least that should get you going. 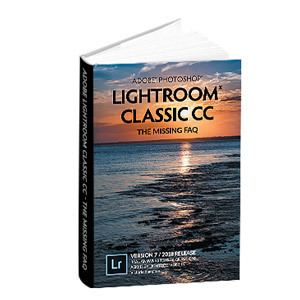 I updated my LR to run Adobe LR Classic and also updated to High Sierra. My catalog updated accordingly. LR crashes every time I use something in the HSL panel. What are my options? This is becoming a real issue. I haven’t seen a bug report on that. There’s an update out today, so see if that solves it. If it doesn’t, post at the Official Feature Request/Bug Report Forum at https://feedback.photoshop.com/photoshop_family/topics/new/add_details?topic%5B so the engineers can take a look. you are a lifesaver! LR6.0 was nonstop crashing for me – did not realize I could update the patch 6.12. you saved me! thank you!! Hi Victoria, I’ve running (or I was) LR 4.4 and have recently updated to Sierra – i did this when my Sandisk was in my mac. Since the upgrade I can open LR but every time i slot in the said Sandisk LR crashes….any thoughts? Newer Lightroom versions had to be updated to fix a problem with multiple devices attached – it sounds like the same issue. Upgrading Lightroom’s the only solution I’m afraid. I’m currently running LR 5.7 and know that I’ll soon have to upgrade to LR7 (Classic). However, first part of the exercise was to upgrade my Mac OS to High Sierra. I did this a couple of days ago. Generally everything seems okay, however I’ve now had LR shut down on me four times in reasonably quick succession. First couple of times was when I pressed the Alt key whilst in the brush tool – it closed as soon as I touched the keyboard. Second time was when I was in the HSL/Colour panel and selected ‘yellow’ – again it closed as soon as I clicked the colour. Both problems were replicated on a second try. I can’t find reference to this type of problem with my version. Hopefully upgrading to the current version of LR will resolve all/any compatibility issues as I now understand that you’re totally happy with users being on High Sierra, but before I take the plunge I would be interested if you have any thoughts on the matter? I appreciate that we’re still in the festive period, but if you do read this then I’d be grateful for your wisdom. All the best for the new year. A quick follow up on the query I’ve just raised. I see other users have reported similar with LR 5.7 and High Sierra, and your response was essentially to upgrade. However, Deane has upgraded and has the same issue when trying to use the HSL panel. This worries me. I have a situation with my Mac which is not related to LR. However, the suggested fix is to upgrade to High Sierra and reading the above makes me more nervous than I was before. I am currently on 6.8 so I guess I need to upgrade to the current (6.12?) (A link would be great!) What is the current situation with known issues of LR and High Sierra? My business would suffer greatly if I had a ‘broken’ LR. I have a 4tb external drive as a backup that I have cloned outside of LR. I tried to sync the library of this drive in LR Classic CC and it would only sync about 120 out of 70,000 files. I canceled and restarted the sync a couple of times and each time it would only sync a few more files. I tried synchronizing a couple of individual folders and got a notice saying there are no files in the folder, yet I have no problem opening them in finder. I am curious if this is a High Sierra / LR issue or some other issue. I recently tried to format a new WD 4tb drive and was unable and that seems to be a High Sierra issue with the size of the partition. Would this possibly be a related issue? Beyond that, I would guess there’s a difference in folder name capitalization somewhere in the path, but I’d need to see screenshots of the Folders panel and the drive in Finder. Feel free to post them on the forum at https://www.lightroomforums.net. There could also be a file permissions issue. I’ve heard of a similar case recently, so that’s a possibility. Hi Victoria, I am running Lightroom 4 and updated to Sierra. Now I get that Lightroom unexpectedly closed error message and won’t open at all. Any ideas? I reached out to Lightroom tech support but because it is Lightroom 4, they pointed me to the forum which I found to be a black hole with no return. 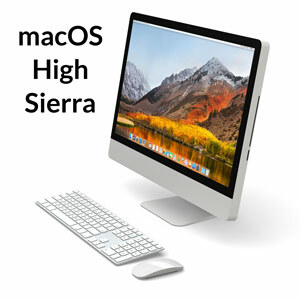 Sierra, or High Sierra? Neither is supported for LR4, but there are more reports of crashes and issues with High Sierra. You could waste hours trying to get it working, but you’d be better to just upgrade to LR6, if you don’t want to go to subscription. High Sierra. I am beginning to realize this as I am a few hours in trying to find a fix. So Lightroom 6 will be compatible with the update? PS. You beat the Lightroom folks in response time from their forum I was told to post my question to. Thank you for this! When you say you upgraded your Lightroom 5, what did you upgrade it to? Lightroom 6.12 was the first version working correctly on High Sierra, and people using earlier versions are reporting a whole host of issues. I think I meant updated rather than upgraded! So if I buy Lightroom 6.12 it should work? I’ve just bought the upgrade (via the link on your website) then updated it to 6.12 and it works, thanks so much for your help! I didn’t realise I could just upgrade it either until I read it on your website, so that saved me quite a bit. Great website, thank you. Hi Victoria, I am currently running Lightroom 5.7.1 on Mac OSX 10.9.5. My goal is to update to Lightroom 6.14 standalone version and update my operating system to high sierra. Is it best to update to LR6, then high sierra, and finally update to LR 6.14, or update to high sierra first, then LR6? I’m not sure if LR 6 will automatically load the most recent update, 6.14, or if I have to perform the update once installed. Also any information you could share to achieve this transition with the least amount of crashes or hangups along the way is greatly appreciated. Really enjoy your page and all the helpful information you post! Thanks so much Victoria! Either way round is fine Dave. You probably won’t be able to open 6.0 on High Sierra, but the 6.14 patch can be downloaded here https://helpx.adobe.com/lightroom/kb/lightroom-downloads.html and installed before opening Lightroom. I will give this a go. Thanks very much Victoria! Thanks for the update David. Lightroom does not open on mac after update. Which version Daniel? You need 6.12 or later (that is 2015.12 or later for sub versions). Hmmm, that’s not right. Have you tried uninstalling and reinstalling? I wonder if it didn’t install properly. It should open fine on High Sierra. In my import dialog the thumbnails are coming in scattered all over rather than in sequence. The import process is sometimes as slow as a snail and then will some times speed up inexplicably. This is happening on both my Mac Pro and on my MacAir. Any thoughts? When you’re importing, is this from a camera? A card reader? Slow saving of images makes me think slow hard drive. Where are the photos and catalog stored? I’m glad I subscribed – you and your bloggers talk sense! I have LR6 and on launch it says LR 6.8. I don’t understand why the latest update is called 6.14 – sorry about a silly question!! Hi Don. 6.8 is earlier than 6.14 (they’re not decimals – first number is a major release, second number is a minor dot release). 6.12 was the last supported on Yosemite though. High Sierra seems to be running well, and 6.14 is fully compatible with High Sierra, so run a Time Machine backup (in case you find a problem with other software and need to downgrade your operating system) and then go ahead and upgrade. You don’t need to worry about backing up your Lightroom catalog separately. Is this now a Yosemite thing? Or is it a LIghtroom issue? I have a supplementary question! There’s not much I need in most of the post 6.8 upgrades – certainly non of the new camera models or lenses. The main advantage of updating with 6.14 was to be ready for Sierra or High Sierra since 6.8 is not compatible with either. Go to Help menu > System Info to confirm exactly which version you’re running. I bet it reverted you to 6.0 because 6.14 isn’t compatible. If so, just go ahead and install 6.12, or upgrade to High Sierra. IT DID REVERT ME TO 6.0!!! So will an installation of 6.12 bring all the raw files back because 6.12 remains compatible with Yosemite? Ideally I want to end up with 6.14 plus High Sierra. 1. To get lightroom working again BEFORE anything else? Yep, the raw files will still be there, 6.0 just can’t understand then. 6.12 will be able to. Any of those options will work just fine. Personally I’d upgrade the macOS, as there’s all sorts of security updates in OS updates, so I generally stay up to date. My iMac is now successfully running LR6.12 with stability and looking forward to upgrading form Yosemite to High Sierra soon! A new problem has arisen. The second machine in the house is a MacBook Pro, running High Sierra with LR4.4 installed but currently used only for editing not cataloguing – currently. After an hour with Adobe chat “help” including 20 minutes of remote they could not help, resolve, understand or identify the issue. Is it possible to download and upgrade from LR4.4 to LR 6 or 6.12 or eventually to 6.14 on the MacBook Pro with High Sierra, using the downloaded LR6 from my licence. > Is it possible to download and upgrade from LR4.4 to LR 6 or 6.12 or eventually to 6.14 on the MacBook Pro with High Sierra, using the downloaded LR6 from my licence. 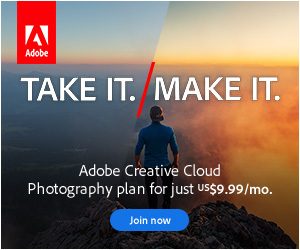 Yep, you just need to download 6.0 and 6.14 from https://helpx.adobe.com/lightroom/kb/lightroom-downloads.html. Don’t try to open Lightroom until you’ve installed the 6.14 update as earlier versions were crashing on High Sierra. Once you’ve opened 6.14 on the MacBook Pro, you can upgrade the 4.4 catalog or create a new one. Yeah, I get why people want standalone software. I buy standalone when I have a choice too. That said, looking at the way their stock prices are going up, I can’t imagine they think they have much incentive for changing their minds on that one. Maybe I’ll be renting my editing software one day. I Wonder what the competition will do? The Photoshop space still seems pretty empty – Adobe still offer the market killing product. By comparison the LR space seems more crowded!! Anyway – here’s my question today for the LRQ wonder-boffins! I’m hoping to move from Yosemite to High Sierra this week. Should I install 6.124 before the MacOS upgrade but without opening until High Sierra has been installed? Or should I leave 6.12 until after the High Sierra is installed, then add the 6.14 patch? The link above states, “….Lightroom 6.12 and earlier are supported on Mac OS X v10.1…” But it is not very clear if 6.12 is stable with High Sierra! 6.12 is fine on High Sierra, so just go ahead with the OS upgrade and you can upgrade to 6.14 later. Help. I’m providing assistance to a friend who was using Lightroom 5. She started to install an update, but shut it off in the middle. I believe it was High Sierra. I had to resort to recovery mode and boot disks to revive it and get an OS on it (High Sierra). She went to open Lightroom and it’s asking for a product key. She purchased it digitally from Amazon and can’t fathom why I’m annoyed that she no longer has the email with the key. In trying to find the key I am discovering that perhaps it’s looking for the key because of compatibility issues. She is freaking out because “all my photos are in there.” I know for a fact they aren’t because it took three hours to back up her photo files. I can get her access to CC and update. My question is, what will happen to her files? What is the most painless way to get her files into the cc version? Are there options as to which Lightroom to get through CC? Which would be most like what she is used to? I’m good with computers but have no experience with this app. Any wisdom you can offer is much appreciated. If she registered with Adobe, the serial might be in listed in her account, or Amazon might have a copy. That said, Lightroom 5 isn’t running too well on High Sierra (if at all), so it’s probably a good time to upgrade Lightroom anyway. Dear Victoria, thank you for all the info. I purchased Lightroom 6 perpetual license on CD, and have never used it, and in the meantime I allowed my Mac Air to upgrade to High Sierra and now Lightroom isn’t running and I don’t know how to update it. And since it’s not running I cannot even open it to look for updates. I followed your instructions on how to upgrade from the Adobe website but when it asks you which version you have it only mentions 5X and not 6. And in the window where you say the patch to 6.14 is “available here”, I don’t find it and don’t know what to do. I’m not a computer geek and honestly I’m lost. Can you tell me how i can update so that I can use lightroom? I have Photoshop Elements 13 and the High Sierra update hasn’t affected it at all. Thank you ! Hello again, I insisted and finally found the patch for 6.14, tried to install it and it seems to work, so thank you for posting all this info! I’ll try to use it and see if it works! Hi Victoria, I can’t seem to find the patch anywhere. I have Lightroom 6.0 trying to get 6.14 but I can’t seem to find it. I have tried to follow the links you provided above with no luck. Thank you for all your help. Scroll down to Download Adobe Photoshop Lightroom, then click on Adobe Photoshop Lightroom 6 to show all of the patch files. Should I use flat or hierarchical keywords? How do I organize photos into folders? Lightroom thinks my photos are missing—how do I fix it? How do I find and move or rename my catalog? How do I send a bug report or feature request to Adobe?